Culture Club: how one little bot helps us live our values. What do you do when you have over 100 employees across three countries, all working towards the same goal, but with limited visibility on each other’s day-to-day? How do you ensure they feel their work is valued and how do you make that work visible to the whole company? Our Culture Manager and Director of Engineering came together to amplify Breather’s culture. sure we were living our values. One solution? A Slackbot that lets us stay connected and engaged. Breather’s culture is vibrant, fast moving and growing. That means we sometimes lose track of what another city team or department has achieved, forget to share our own successes or give each other props for good work. Since doing all of the above is really important to us, we needed to find a better way to communicate. We needed to apply the distributed model that we’d applied to our business to our culture. To achieve this, we put together a department ambassador team representing each department and geographic location. The team meets bi-weekly to share their successes and to talk about ideas on how to improve life at Breather. One big idea that came out of a meeting was the need to ensure everyone has visibility on what other parts of the business were working on, and the need to recognize each other for the work being done. We believe that what gets recognized, gets repeated, so if the key to retention and engagement is employees who feel appreciated, how do we make them feel appreciated? continents. Because of the distributed nature of our business we use Slack as our primary communication tool. We’re so comfortable with Slack that we let it book random chats with colleagues on our behalf. 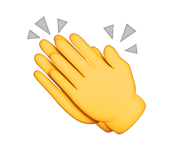 It’s also very easy to tie “props” to your company values, once you have picked your values and emoji, just include the emoji in your message. Our values have been part of the company since day one, but we struggled with how best to integrate them in our daily tasks. Turns out, we could easily link them to the Growbot “props” making them visible and easy to use for everyone. Adding our company values to the equation was the simplest way for us to integrate the core of the brand into our day-to-day. This is still new for us. 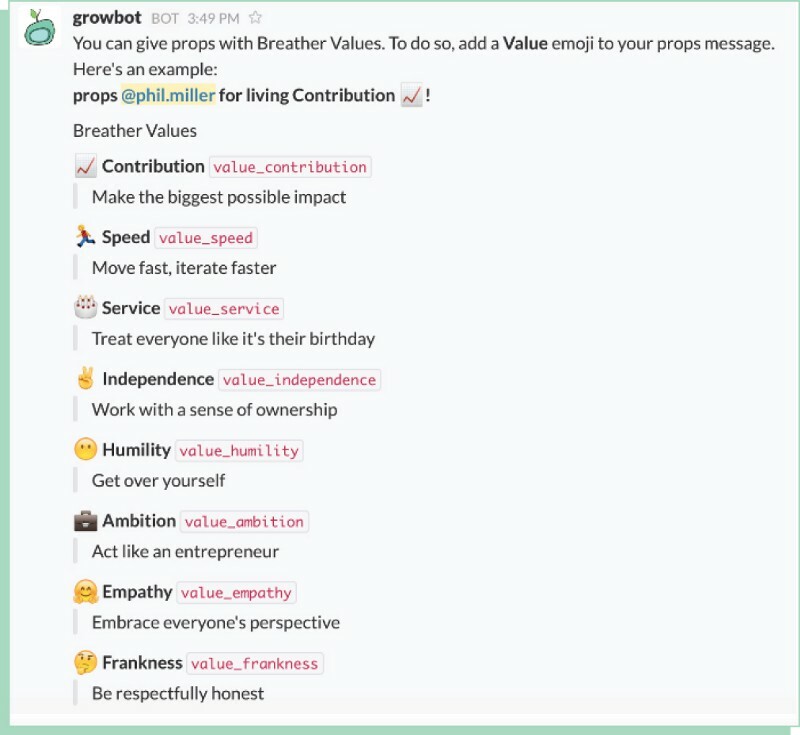 We’re still getting used to using Growbot and calling each other out for exhibiting certain values. But in the short time we’ve been propping, we’ve seen a massive amount of change in openness, collaboration and recognition. So now we have a painfully simple mechanism to show gratitude for our fellow employees that is deeply integrated with the way we all communicate. What kind of office accessory are you? Take our Quiz to Find Out! Copyrights © 2019 Breather Products Inc. All rights reserved.